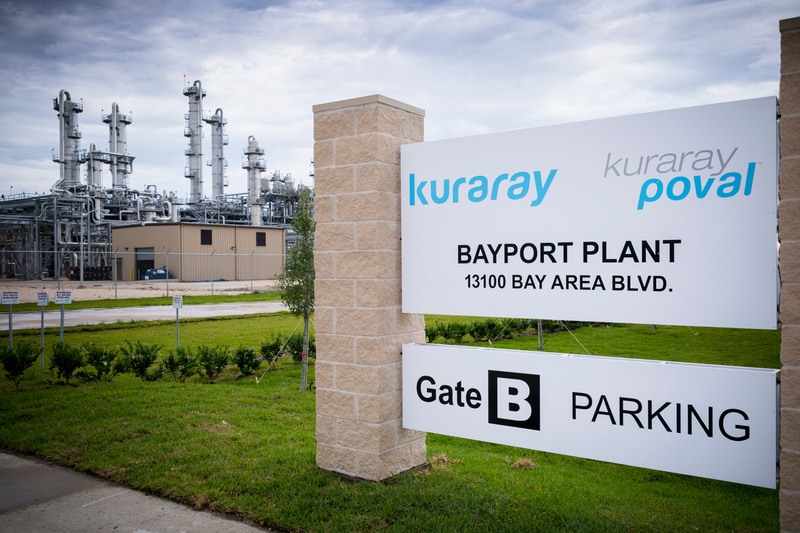 Kuraray America, Inc., a global leader in specialty chemical, fiber and resin production, is celebrating the grand opening of its new, $300 million, 81-acre, green-field Kuraray Poval plant in Pasadena. The opening of this plant further distinguishes Kuraray Co., Ltd. as the largest producer of polyvinyl alcohol (PVOH) in the world. The new plant will produce 40,000 metric tons of PVOH annually and employ a total workforce of nearly 100 employees (54 Kuraray employees and 40 contract personnel). Kuraray America, Inc. employs over 400 people in the Houston area, with 3 additional plant sites and the Americas headquarters located in the region. Kuraaray Poval is used in a wide range of industries, including paper, textile, emulsion, PVC, construction, adhesives, and films. Kuraray America’s grand opening festivities were infused with Japanese customs, including a samurai sword ribbon cutting, Daruma painting of the eye and a Kagamiwari (sake barrel) ceremony. 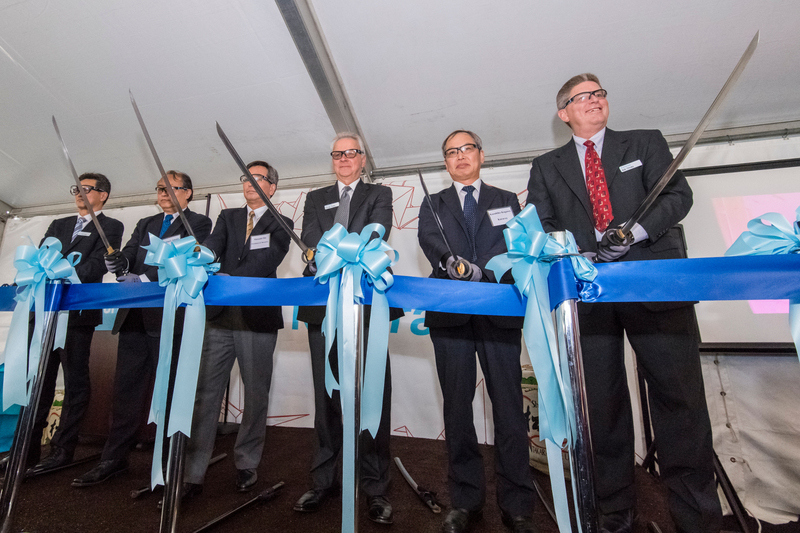 Executives from Kuraray Co., Ltd.’s Japanese headquarters, including President and CEO Masaaki Ito, participated in the ceremonies. Production of PVOH has already started at the new plant. PVOH is a unique, functional resin that Kuraray first industrialized in the 1950s. Kuraaray Poval has a variety of characteristics such as superior adhesive strength, film formation, emulsifying properties and oil-resistant abilities. The polymer’s water solubility is its most distinct characteristic, along with its ecological advantage of being biodegradable. The physical and chemical properties of Kuraray Poval make it ideal for a wide variety of applications, including adhesives, paper, ceramics and films. About KURARAY POVALKuraray America, Inc. is a globally recognized specialty chemical company that creates quality, sustainable solutions that strengthen products from a diverse range of industries.